(Aug 28): U.S. stock index futures fell on Friday, after a two-day market rally, suggesting nervousness heading into the weekend after a hair-raising ride for global markets in the past few days. Wall Street logged its biggest two-day gain since the financial crisis on Thursday on strong U.S. economic data and hints that a September interest-rate hike was unlikely. 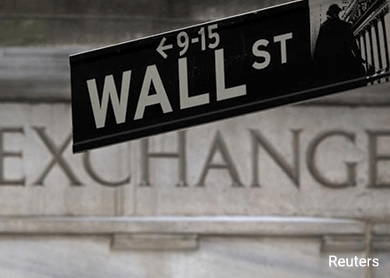 The three major U.S. indexes looked set to end the week higher despite the market's cumulative 10% drop in the first two days of the week amid fears of a slowdown in China. Chinese stocks jumped more than 4% for the second day as authorities announced that pension funds managed by China's local governments will start investing 2 trillion yuan ($313 billion) as soon as possible in stocks and other assets. Investors will keep a close watch on data scheduled to be released later in the day. U.S. consumer spending, which accounts for more than two-thirds of economic activity, is likely to have increased by 0.4% in July from 0.2% in June. The data is expected at 8:30 a.m. ET (1230 GMT). The University of Michigan's final August reading of consumer sentiment index, scheduled to be released at 10 a.m. ET, is expected to come in at 93.0, higher than its preliminary reading of 92.9 earlier in the month. Freeport-McMoran shares jumped 13.8% to $11.56 in premarket trading after activist investor Carl Icahn disclosed an 8.5% stake in the company. Autodesk was down 5.9% at $47.05 after the maker of computer-aided design software cut its full-year profit and revenue forecast for the second time this year. * S&P 500 e-minis were down 19.5 points, or 0.98 percent, with 244,629 contracts traded. * Nasdaq 100 e-minis were down 40.5 points, or 0.94 percent, on volume of 35,687 contracts. * Dow e-minis were down 160 points, or 0.96 percent, with 27,725 contracts changing hands.